"Exceptional designs reflect everything that makes the client special and unique. I consider it a privilege to relate with my clients on a close, personal level and to create spaces that are sourced in who they are and what makes them extraordinary." 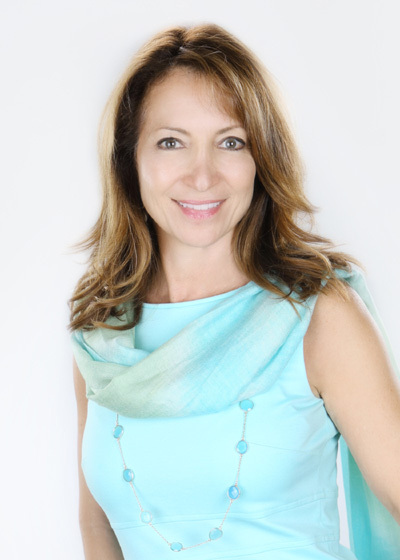 Ficarra Design Associates Founder Lisa M. Ficarra is an award-winning interior designer with over 20 years of experience, including 18 years of service to clients in the Naples and Southwest Florida luxury home market. A protégé of the legendary Holland Salley, her work is celebrated both for its originality and for its deep connection to the essence of her clients. Lisa's career in interior design began at Western Michigan University where she was awarded a Bachelor of Science Degree in Interior Design. She attended post graduate studies at Parsons School of Design and Boston Architectural College. Lisa then continued her studies abroad, working with architects and studying architectural history in Rome, Italy. Her love of the inspirational architecture found in both Europe and Asia is often reflected in her designs. Upon returning to the U.S., Lisa worked with a prominent New York architect and later as a senior designer for a Boston-based firm. In 1994, Lisa relocated to Naples and spent the next ten years working with the venerable and highly revered designer, Holland Salley. As one might expect, Salley's influence was profound, not only from a stylistic standpoint, but also from a more human, relational standpoint. It was during her years with Salley that Lisa developed her acute awareness of the connection between interior design and the forces that drive her clients' way of being. That awareness has served as the impetus of her commitment to create interior spaces where form and function merge in a manner that is focused solely on the personal enjoyment and fulfillment of her clients. In 2003, Lisa founded Ficarra Design Associates, Inc., a full-service interior design firm that was quickly acknowledged as one of Southwest Florida's leading designers. Under Lisa's leadership, Ficarra Design Associates has received numerous awards and industry acknowledgements for its excellence in design. The firm continues to serve both the luxury residential market and the high-end commercial market in Naples and Southwest Florida and is known for its originality, diversity and ability to relate with its clients.